We’re fascinated by Frazer Crane. 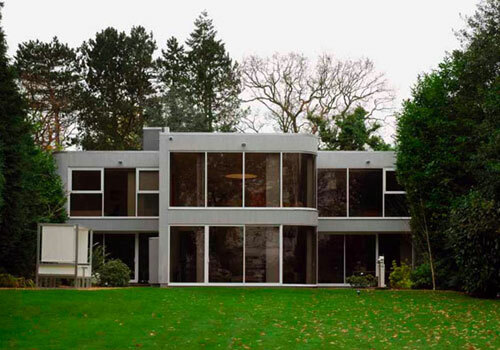 The man who designed George Best’s infamous modernist house in Bramhall Cheshire also created one of two other modernist gems in the 60s and 70s too. We featured one in Whitefield, Greater Manchester some time back. 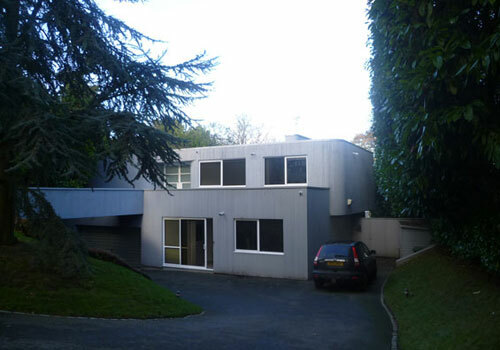 Here is another, this Frazer Crane-designed modernist house in Wilmslow, Cheshire. 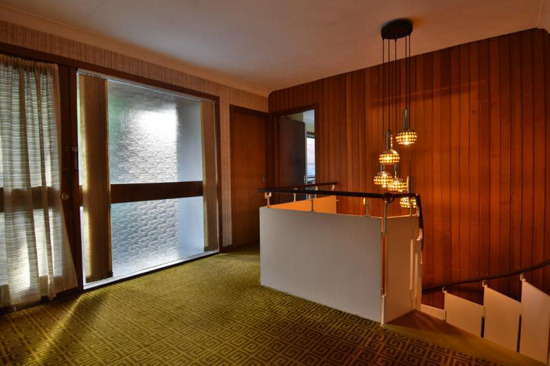 It’s very different to other two properties we have seen, but equally dramatic and ‘of an era’. 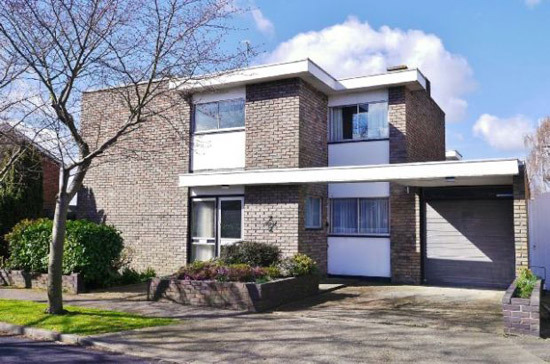 Built on what’s described as ‘one of Wilmslow’s most sought-after roads’, it has a semi-rural location and some presence, the original design being ‘sympathetically maintained’ by the current owners, which is always nice to hear. Accommodation includes a kitchen/diner, hallway, utility, cloakroom, dining room, lounge and study on the ground floor, with a ‘galleried’ landing, master bedroom, dressing room, three further bedrooms and a bathroom upstairs. There’s also an integrated garage, along with gated access to the driveway. 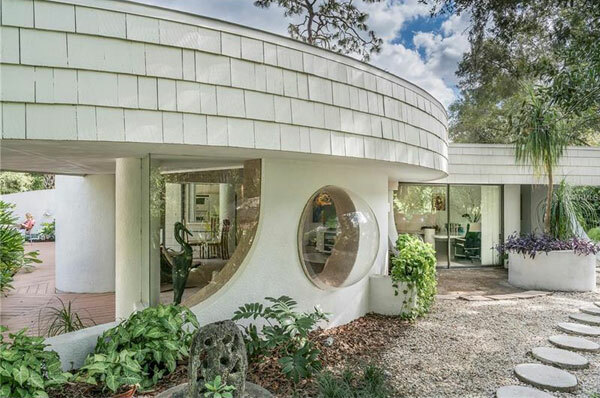 It’s a stunning property, but due to that location, the design and size of house, it’s far from cheap. You’ll be looking at £1,350,000 to get one. 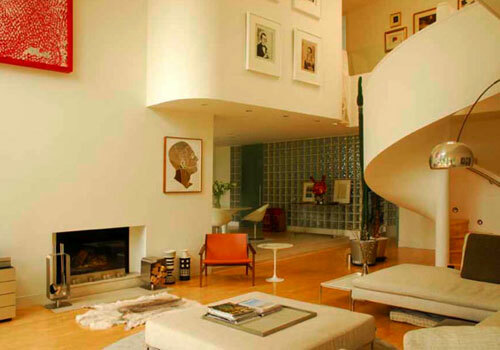 Alternatively, find some land and contact the architect – his firm is still practicing.